(1) Practice exams can provide insight into your professor’s expectations. Many professors release at least some of their past exams. Those past exams may be handed out in class, posted to the course website, or put on reserve at the law school library. You miss an important opportunity to understand your professor’s approach to exams if you do not review available past exams. As you look at the exams, ask yourself: Are the essay questions constructed in a way that gives you plenty of time to analyze all legal issues, or are there more legal issues than it is possible to cover in the allotted time? Do multiple choice questions resemble the types of questions that are on the bar exam, and you have to apply the law to hypothetical fact patterns? Or do the multiple choice questions just test your basic understanding of the black letter law? Do they ask for the best answer, or just the correct answer? (2) Practice exams can help you gauge the effectiveness of your outlining and study strategies. Taking practice exams can help you determine whether your outline includes the information that you need for ultimate success in your final exams. After you take a practice exam, you should note the areas in the practice essays where you either missed legal issues or didn’t fully develop them, and you should also make note of legal issues that were tested in the multiple choice questions you missed. Go back and reevaluate your outline at that point, making sure that you have included everything you needed to answer those types of questions. You may need to add additional detail to your outline, or maybe you discover that reorganizing it will be more helpful. Use the practice exam as a ruler to measure your pre-exam preparations. When you evaluate your outlines, you may discover that everything that you needed is actually in your outline, but you just don’t know that information well enough to use it on an exam. If that’s the case, set aside more time to review your outlines on a regular basis, and consider whether it would be helpful to create flashcards to help you memorize important legal tests and definitions. (3) Practice exams can reduce anxiety about testing. Another way practice exams can be helpful is by making you feel more comfortable with the testing process. Many students struggle with anxiety on exam days, and that anxiety can interfere with their ability to be successful in their exams. The more practice exams you take, the more prepared you will feel for that experience. Your brain will be used to thinking about the material in the way that it will be tested, and it should help to reduce your stress. You can come up with strategies for how you will approach different types of questions in advance—there should be no real surprises on exam day. (4) Practice exams can provide focus for study group meetings. 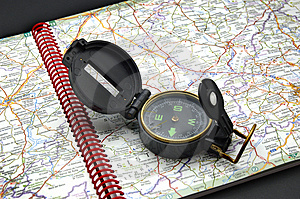 Members of your study group can take practice exams prior to meeting, and then use the meeting to go over those exams. Or your group may take either essay questions or multiple choice questions and answer them together during your meeting. Sometimes talking through practice exams with someone else, who may have a different perspective and identify different legal issues than you have, can be helpful. Everyone’s heard that slogan, “Practice makes perfect.” Although practice does not guarantee perfect scores on your law school exams, it can help you hone your study strategies, focus your attention on what your professor expects you to know, and reduce test-taking anxiety. Practice exams can help put you on the path to academic success in law school. By this point in the semester, most law students are in the final stretch of what seems like a very long race. Final exams loom ever closer on the horizon, and you’ve probably realized that you have a lot to get done in the next several weeks. Law school can feel stressful enough under normal circumstances, as writing assignments are coming due and professors are trying to cover the course materials prior to finals. But if you’ve fallen behind in your studies, you most likely are feeling even more pressure. Law students fall behind for a variety of reasons. Maybe you’ve been sick and missed several classes, and, because you were feeling so poorly, you didn’t keep up with the reading. Maybe you’ve participated in the on-campus interviewing process and have spent more time working on job applications than you’ve spent studying lately. Maybe you’ve been overcommitted to extracurricular activities or focused on other priorities and haven’t had enough time for your studies. Or maybe you just weren’t taking law school as seriously as you needed to, and you now realize that you’ve got a lot to do to earn the grades that will let you achieve your long-term goals. Whatever the cause, you’re realizing that you have to do something now to catch up. Don’t delay: The longer you wait to attempt to catch up, the harder it will be. Make a commitment to a plan now so that you have the time to do what you need to get done to be successful in your classes. Don’t give up: Students who fall behind often decide that it is easier to quit trying to catch up than do the hard work necessary to get back on track. They may decide to rely on commercial outlines rather than creating their own outlines or utilize commercially prepared case briefs rather than reading the cases themselves. While this strategy may seem like it gets you caught up much quicker, you will not know the material as well. When you go to apply the law to new hypothetical examples in the final exam, you may not understand the law well enough to be successful in your efforts. It is also important to remember that many of these courses are going to be on the bar exam. You need to study effectively now, so that you have better long-term recall of legal concepts. Don’t neglect new assignments: Don’t allow current assignments to suffer because you are trying to complete past reading. Sometimes students think they must go back to the place where they got off track in order to get caught up, and they neglect current assignments in the process. 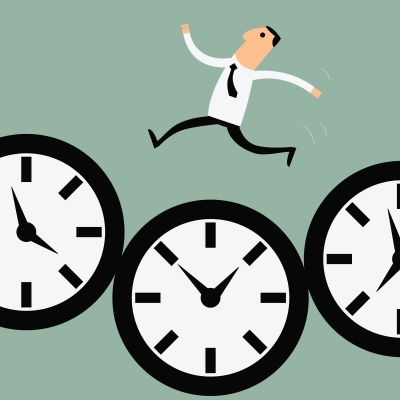 Make sure that you first schedule current assignments before adding in the time you need to get caught up. You will get more out of each class if you have done the reading for that class in advance. Make a plan: Most importantly, you need to make a plan. Getting caught up will take deliberate effort; it will not happen on its own. You need to make a schedule and stick to it. 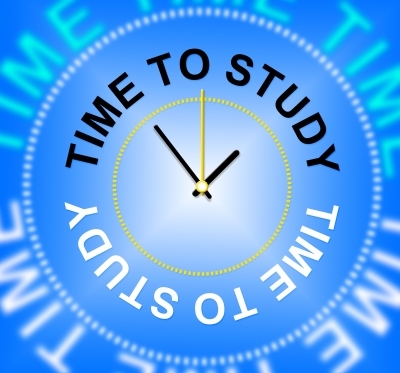 Revisit the study schedule strategies that you had at the beginning of the semester. Map out the remaining reading and writing assignments for the semester, making sure that you’ve scheduled enough time to complete each of those assignments. This schedule should cover the remainder of the semester. Once you’ve scheduled all forthcoming assignments into your study schedule, you should then create a list of your backlogged tasks. On that list, estimate how long you think it will take you to complete each task. Go through the list and decide which tasks are the highest priority, then the second highest, third highest, etc. You will realize that some tasks are more immediate in terms of importance because you cannot complete your outline until those tasks are done, or because a current topic in a class builds upon the law covered in the backlogged reading. Once you have prioritized your list of backlogged tasks, begin inserting them into the remaining time in your study schedule. Don’t forget to allow time for outlining these assignments as well. You won’t necessarily be caught back up by the end of the week (unless you were only behind a class or two), but, if you stick to your new study schedule, you will be in a much better position by the time you enter the final exam period. A good study plan can not only keep you on track on a daily basis but also help you to catch back up if you’ve fallen behind. I’ve mentioned before that one of the most empowering aspects of law school—as well as one of the scariest—is that you are in control of your own learning. So what does that mean? What can you do to take charge of your own learning in law school? Law school puts you in the driver’s seat. For example, you will have reading assignments for each class meeting—often those assignments take several hours to complete. For the most part, if you are not called on during class, no one will know if you don’t do the reading on any given day. You make the choice—you stay on top of your assignments each and every day, or you don’t do the reading and do something else instead, such as go to the movies or watch that TV show that you love. Doing the reading is the first step on the path to understanding the law. In contrast, skipping even one day’s reading makes it even harder to understand what is going on in class, and getting multiple days behind decreases your ability to be successful on later assignments and exams. You often won’t feel the consequences of your decisions immediately, but your choices will affect your long-term chances of academic success. As the semester goes on, you will have additional choices to make about your studies. Will you devote the time to synthesizing course materials to further develop your understanding of the law and its applications, creating outlines, mind maps, flow charts, and flashcards? Or will you attempt to take a shortcut through that process, relying on a past student’s outline or a commercial outlines instead of creating your own study aids? 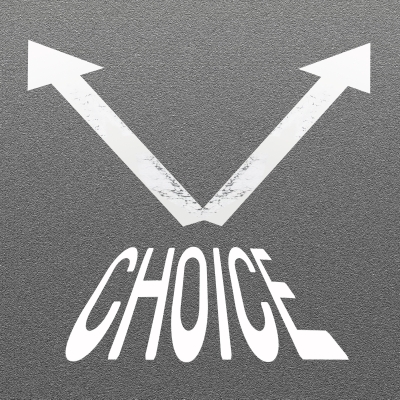 Once again, your choices will have long-term consequences for your understanding of the law you are studying, your grades, and your ability to recall what you have learned after the course has ended (an important consideration, since many of the subjects you will study will reappear on the bar exam in a few years!). Successful students make conscious, positive choices about their own learning. Understanding that their choices affect their academic success and long-term goals of being an attorney, successive students are not passive in their approach to legal education. Instead, successful students take positive actions to improve their educational opportunities—establishing regular study schedules, avoiding procrastination, taking advantage of opportunities to improve their academic and legal skills, and keeping their academic, professional, and personal priorities in focus. They avoid taking shortcuts that make things easy in the short term but don’t improve their understanding of the law. They develop their own methods of holding themselves accountable for what they learn. Successful students aren’t perfect, but they learn from their mistakes and don’t repeat them. In short, successful students don’t just focus on learning the law—through their efforts they learn to be better learners as well. These traits help them to become better students . . . and also better future attorneys. Stay tuned for related posts about how successful law students approach these topics—I will be blogging more about things that you can do to take control over your learning in law school over the next few months. Each year, the National Conference of Bar Examiners publishes an MBE (Multistate Bar Examination) Information Booklet, which can be accessed here. What many bar takers do not realize is that this booklet contains a subject matter outline for each MBE subject. These subject matter outlines make great evaluation tools. For example, one way to use the outlines is to go through each outline, assigning a rating between 1 and 5 based on your level of confidence in your knowledge of each subtopic (with 1 being the least confident and 5 being the most confident). Based upon that rating, you can then spend more time reviewing topics that you rated lower, rather than expending the same amount of time on all topics. Another way to use one of these subject matter outlines to evaluate your study priorities starts with completing a series of practice MBE questions on a subject. For example, let’s say you take a 50-question set of practice MBE questions on Torts. You can then pull out the Torts subject matter outline from the MBE Information Booklet, and mark next to each topic every time you miss a question on that topic. Based on which topics end up with the most marks, you will then know how to prioritize your Tort studies. There is also another way that the MBE Information Booklet can help you prioritize your studies. The Booklet provides additional insight into the emphasis that certain topics receive in the MBE. For example, at the beginning of the Constitutional Law outline, the Booklet states that approximately half of the Constitutional Law MBE questions will come from section IV of the outline, while the remaining half of the questions will come from the other three sections. This information may also be helpful as you decide to prioritize your study time during the last days leading up to the bar exam. You can take a similar approach to prioritizing your studies by utilizing the basic subject matter outlines provided with most commercial bar prep programs. By taking an active approach to prioritizing your bar exam studies, you can make conscious choices about how to best utilize your remaining time before the bar. We’ve all had that feeling—that moment when you are sitting in the classroom, your professor hands out the exam, and every rational thought flees your brain. You are paralyzed. Sweat begins to bead your forehead. And then the voice in your head screams out: “I can’t remember anything I studied! I’m about to fail my exam!” The challenge is how to move past that feeling of panic and successfully complete the exam. While you can’t vanquish those feelings of panic with a magic wand, there are things that you can do to conquer panic during exams. As with so much else in law school, one of the most important keys is what you’ve done prior to the exam—your preparation. We’ve talked before about how taking the right approach to outlining can help you to predict what may be tested on the exam. One of the reasons why law students panic at the beginning of an exam is because they are afraid of the unknown. Law students view exam creation as a mysterious and unpredictable process. In reality, as I’ve explained before, professors tend to test the nuances in the law—areas where there are competing approaches, shifting outcomes based upon facts or policy approaches, and fact patterns that require students to recognize how a series of legal issues relate to each other. Identifying those nuances in advance through outlining will make the exam more predictable and reduce your feelings of anxiety. I have also explained previously about how to create a one-page checklist of legal issues that may be tested on an exam. This checklist is a very specific way of connecting your preparation prior to the exam to what is going on during the exam. If you create a checklist of potential legal issues, you have a mental prompt you can rely upon when that feeling of panic rears its head at the beginning of the exam. How can you do this? If you immediately panic when you look at the exam questions, try this technique: Put your exam aside for a minute and take out your scrap paper. 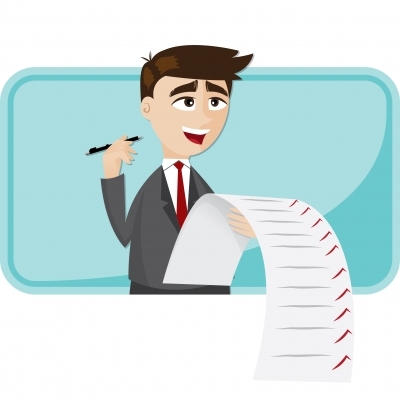 Quickly replicate a shorthand version of your checklist on the scrap paper. 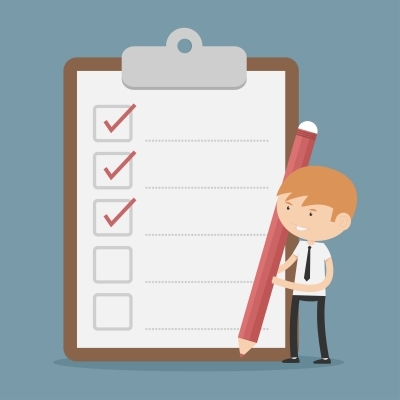 Once you have put that checklist on paper, you have a tool that you can use to answer the exam questions. You can literally take each issue on the checklist and evaluate whether that issue is raised by the fact pattern in the essay question. If it is, you can jot down quick notes about what facts you wish to talk about with respect to that issue. By the time that you get through the checklist, you have created a quick outline, chart, or list about how you will tackle the essay question, and the writing should go smoothly and quickly. The feeling of panic will go away as your preparation kicks in!